KAMAL GATTA (LOTUS SEED) MALA (108 BEADS): Kamal gatta rosary is a symbol of Godess laxmi. If you are desirous of getting much wealth in your life, then you must perform japa of Godess laxmi with kamal gatta mala. The Goddess is easily appeased if one uses this rosary for the chanting of her Mantra and she bestows upon him wealth and comforts Benefits of Kamal Gatta Mala To bring lots of wealth, prosperity and well-being in your life. 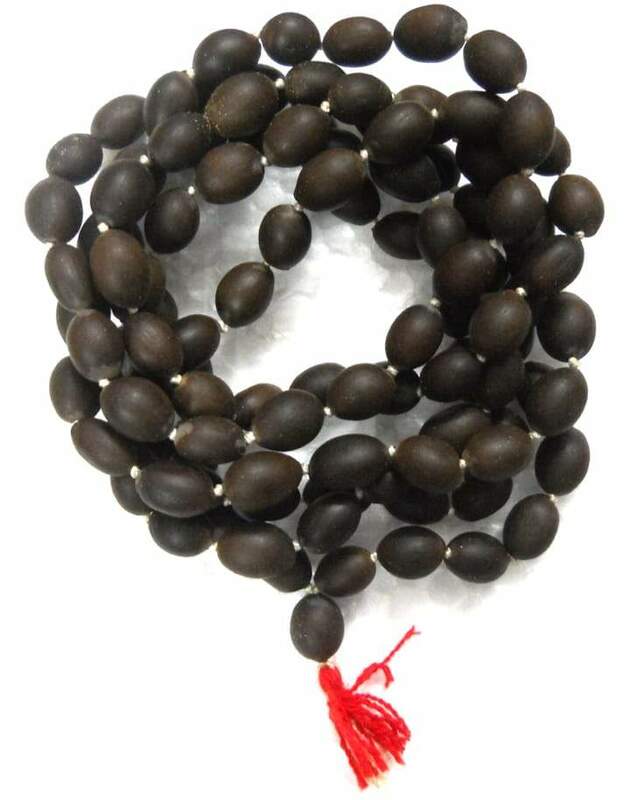 If you are facing lots of problem in your business, you must wear this Mala. It solves all problems related to business. For Wealth point of view Lotus Seed Mala is very beneficial for you. Kamal Gatta Seeds are also very beneficial for money related puja path anusthan. Because Goddess Lakshmi likes Lotus (Kamal) that’s why Kamal Gatta Mala attracts money and wealth. For business success and loss overcome Kamal Gatta Mala helps to earn more. If you facing money problem then worship with Kamal Gatta Mala to Goddess Lakshmi and Kuber. In Diwali Puja always use Kamal Gatta Mala and Kamal Gatta Seeds (Lotus Seed). Mantra, “Om Mahalakshmyai Ch Vidmahe Vishupatneem Ch Dheemahi Tanno Laxmi Prachodayat”, similar type of tulsi mala as shown in the picture shall be dispatched within 7 working days after receiving the confirmed order.